Following is an amazing story from Truth in American Education and a Wyoming teacher who was threatened by her administrator for questioning the CCSS implementation and ramifications of the standards in terms of privacy and loss of local control. Please share with other teachers and parents. Where is the "critical thinking" allegedly present in CCSS? I received this email from a 6th grade teacher in Wyoming whose school placed a gag order on her regarding her opposition to the Common Core State Standards. I’m withholding her name to protect her privacy (and career). I am currently a teacher in a smaller district in Wyoming. I attended a Wyoming Department of Education training for the ELA Common Core Standards in July, prior to starting the 2012/2013 school year. I came to this training knowing only that Wyoming, along with 45 others states were choosing to adopt the standards fully by 2015. The WDE presenters were suggesting we use some of the methods I had been trained to use in Utah, and had previously used when I taught there. Since our state and district benchmarks would not be fully aligned with textbooks, curriculum, and testing until 2015, I wanted to get a head start. I looked into what my former colleagues were doing in Utah. This is when I discovered the movement that 2 Moms from Utah and Christel Swasey have been a HUGE part of. I was FLOORED! 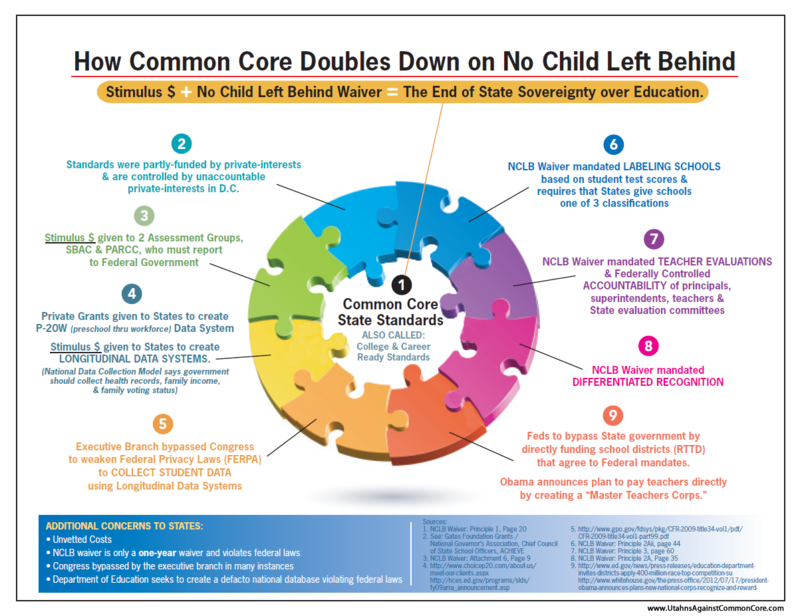 I had not idea that there was a different train of thought, let a lone a movement against the implementation of Common Core. This peaked my curiosity and caused me to do some researching. I quickly realized how ignorant I really was about our country’s education system and how the Department of Education affects what happens in our schools. It was truly ignorance on my part, as I only saw how things happened on a local level and never really thought about the affects of national legislation affecting a small town in Wyoming. The more I researched the more I become aware of how much I didn’t know! I also began forming my own opinions about how this could potentially limit local voices from parents, teachers, and administrators. I chose to share my research and opinions with my administrator and a few close colleagues privately. I emailed links to the research I’d done, along with my views on what is happening and how it could potentially affect us as parents, and teachers. After the email was sent I met one-on-one with my administrator, where we discussed common core and the research I had done and continue to do. Basically, I left that meeting knowing that he disagreed with what my opinion is. However, I left with the feeling that we would agree to disagree. He also pointed out the fact that our state and district would be moving forward with common core and I would need to be on board with it. The next day I was approached by a fellow teacher whom I’d shared my concerns with. They asked if I would be comfortable sharing those same concerns during a grade level meeting, as others were curious. I agreed to do so. During the meeting I spoke of several movements in various states that are pushing to repeal the adoption of common core, or at lease give more time to consider it. I spoke of being shocked that I was ignorant of any controversy surrounding the Common Core. I shared my feelings, concerns and opinions. I suggested they become aware that there are two sides to this and to be prepared to have an opinion. I pointed out that questions could come from concerned parents or others in the community. I also shared that my main concern was with the changes to data privacy and losing local control. When I was finishing my administrator said that there would be no more emailing, or talking about the common core amongst the staff. There was a finality to his tone and the meeting was quickly over at that point. 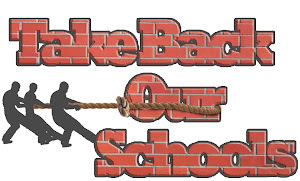 I then received an email from my administrator reminding me of our district policy of not using school resources to push political concerns or agendas. He also stated that there was to be no more discussion about common core unless it was on an “educational” basis between staff members. Ironically, I had several teachers contact me outside of school that same day, to say they were shocked at my administrators tone. They feel I was being genuine in sharing information that was previously unknown and could potentially affect educators. Several staff member have also approached me saying that they are grateful for this information and are now researching it on their own. The question being asked in my school now is…Why can’t educators do what they do best? Research, question, inform?? Isn’t it better to question and discuss things, even if we don’t agree on them as to find what is best for the children we have been entrusted with? Should we turn a blind eye, and be lead like sheep off the cliff? What is wrong with forming an opinion, discussing it, whether we agree with each other or not? Why stifle this? I don’t think he realized that he just gave fuel to what was once a single voice! At this point my union representatives are looking into this as a form of suppressing free speech. I also have an appointment set up to meet with our district’s superintendent. so that I may better understand the position our district is going to take on this. 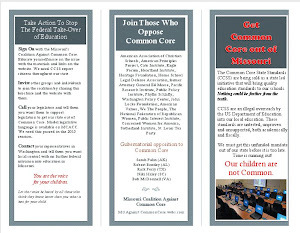 At this point the staff at my school believe they will be reprimanded if they speak with parents concerning common core for something other than it’s educational use. Oh boy does this sound familiar. You see, you are not allowed to push YOUR political concerns because they have a corner on the market to push THEIRS. They have been doing this for a long time, and you can bet the wacko hippies of the 1960s (William Ayesr) are in full control today because WE LET THEM BE.